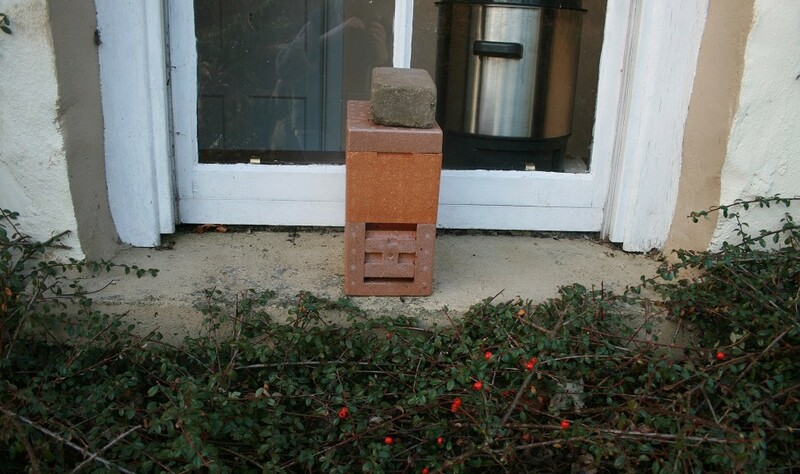 Fit the crownboard covering the feed hole with travelling/ventilation mesh then take it away to an out-apiary and feed it feed it feed it, but keep the entrance as small as possible to deter robbers. 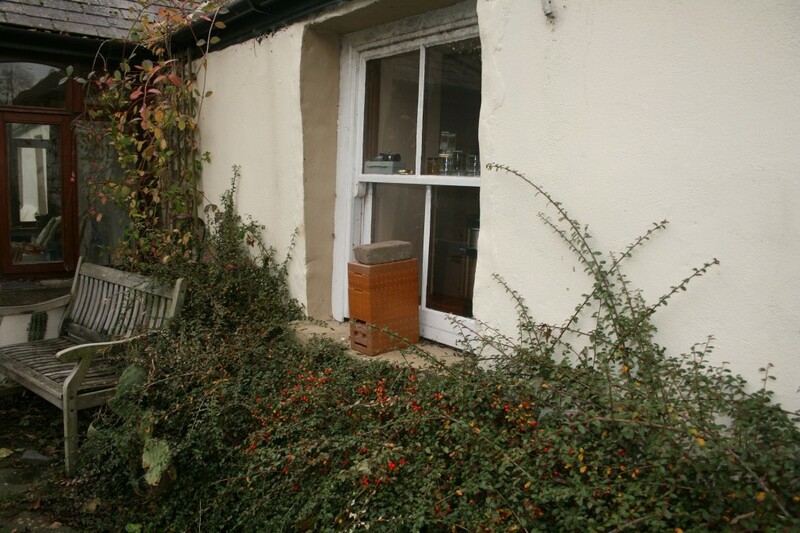 My nuc is now as strong as a horse, queenright, stuffed with ivy honey and ready for the winter. On top of this, fit the Miller feeder. If you’re using these be aware that you will need to throw in a handful of straws or wood-shavings or similar as the bees have direct access to the syrup and will float off and drown otherwise. Unless, of course, I’m doing something bloody silly in which case, Dear Reader, I ask you to correct me using the comment form at the bottom of this post. By the way the Miller feeders come with a strip of queen excluder to pin underneath to keep ‘Herself’ out of the syrup. The perfect place to overwinter an Apidea is the sort of south facing windowsill that is really too hot in summer – like the one in the pictures above. I should add, I have overwintered Apideas on a single box in the past but you need to have them very well provisioned, you need to pack the roof space with fondant and you need to keep a close eye on them especially in the early spring. I followed your advice and succesfully overwintered an apidea. Colony and queen survived, but not the way I liked. However, moisture was a problem, i mean that over time the level of moisture in the apidea increased. By the end of winter, the frames in the top were full of fungus. How to prevent this from happening? P.S. i placed the apidea (two boxes) in a spare wooden beehive (6-frame, red cedar) with open bottom for ventilation. I think if they make it through winter at all it’s great. After all, they are a very small colony and if there is a bit of damp it sort of goes with the territory. However if you can eliminate it, it’s better. It must be due to condensation so Insulation and ventilation are the key. If you had the Apidea inside a cedar hive that should have insulated it from the worst of the cold and the condensaton might have been worse if you hadn’t done that. I think your winters are much colder than ours! You could try leaving the ventilation panel open but they do tend to propolise it. Also, make sure the Apidea slopes slightly towards the front so if any moisture does gather, it can run out of the front and not gather at the back.